Robert R. Pusins & Associates, Inc.
Philip P. Hayden, Ed.D. is a court-certified expert witness in the areas of Use of Force, Tactics Training, and Mental Mindset during high-risk situations. He is a retired Supervisory Special Agent for the FBI, and has since worked as a private consultant. Mark I. Levy MD, DFAPA - Forensic Psychiatric Associates Medical Corp.
Florida - Serving: All states. Nationwide availability. Gary Deel, PhD, JD has 10 years of experience in executive-level positions in the hospitality industry and 10 years of experience teaching hospitality management and law curriculum for some of the nation's top hotel schools. Recently retired Sergeant II+1 Los Angeles Police Department Special Weapons and Tactics (SWAT) Supervisor. Worked numerous assignments over the past 29 years to include: SWAT, K9, Vice, Narcotics, Jail Operations, Internal Affairs, Gangs, Crisis Negotiation Team, Detective, and Patrol. Dr. Richard Collins, Ph.D., M.Sc., B.Sc. Dr. Richard M. Hough, Sr.
Services as litigation support consultant and expert witness for juvenile justice and detention, use of force, law enforcement practices, jail practices cases. Trained as a ophthalmologist and a family medicine physician based in Miami Beach, FL practicing and very experienced, have much experience and interest with trials work. 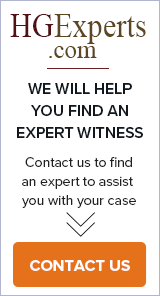 Providing understandable explanations of traumatic and overuse injuries in criminal and civil litigation. Expertise in slips/falls, assault, stair use, motor vehicle incidents, and workplace injury in adults and children. PCR Consultants exists exclusively to stand by, advocate, and consult for federal criminal defendants and their attorneys. Whether on pretrial status, currently incarcerated within the Bureau of Prisons, or on supervision, the help of PCR Consultants can be invaluable to law firms and clients alike. Located in the greater Northern Ohio area. Accepting Retail Security Expert Witness assignments throughout the United States. Curtis, although now semi-retired, accepts cases involving wrongful death or severe injury.